Note – this article addresses ways to mark non MUTCD gates. 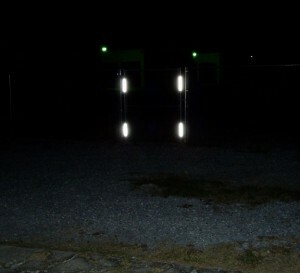 These would be gates on private property that do not open up onto a DOT road. For MUTCD type gate marking information Click Here. Gates and fences are easy targets for unsuspecting or inattentive motorists and therefore need to be clearly visible at night. 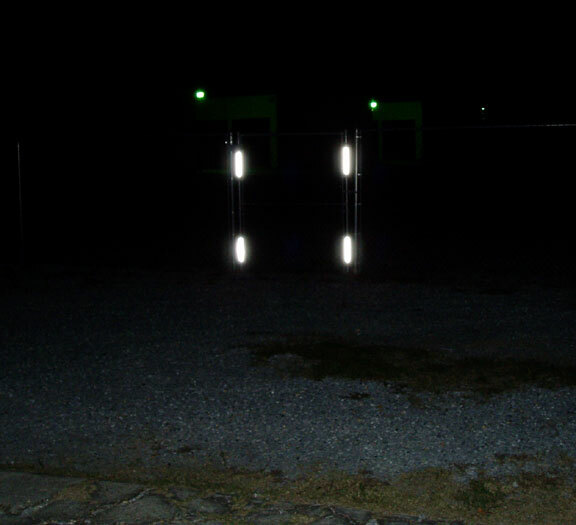 Because they are in the flow of traffic and often unexpected, gates and fences should be equipped with bright reflective tape that can quickly and effectively get a drivers attention. 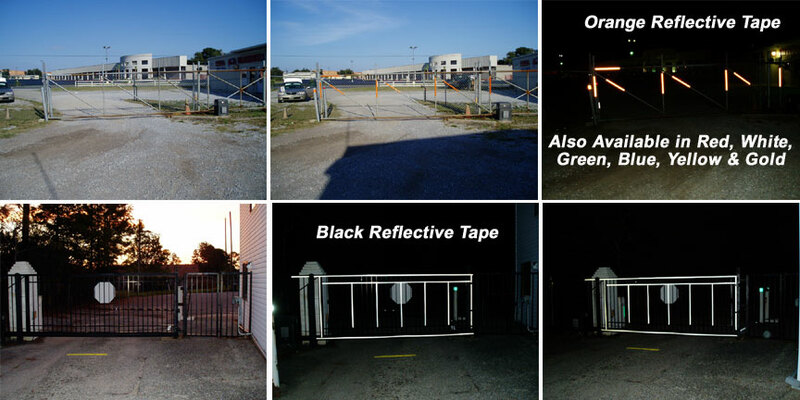 As you can see from the pictures above one way of increasing the visibility of a gate or a fence is simply to outline it in bright reflective tape. This can be done with any number of colors and intensities of tape. Engineer grade is the least expensive and prismatic is the brightest and also the most expensive. 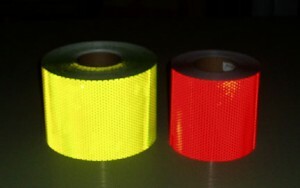 While there are many choices for color and type when it comes to reflective tape one thing is for certain. The brighter the tape day and night the better. With this in mind one suggestion is the use of fluorescent yellow and red like what you see on fire trucks. The picture to the left shows rolls of these two colors and you can see why they would be highly conspicuous day and night. You can either alternate them or cut diagonals and create chevron patterns like you see on the backs of fire trucks. The two tapes below are also excellent choices because of their alternating design.